Top Five Best General Purpose Grass Trimmers - Which? Our pick of the best grass trimmers for any job around your garden, from edging the lawn to cutting down long grass. These general-purpose grass trimmers are extremely versatile. They can edge the grass, tidy areas missed by the mower and tackle small areas of long grass, too, working neatly and efficiently. We know from years of testing that not all grass trimmers are great at all tasks, and some aren't even good at some. We've rounded up three we think are best avoided at the bottom of this page. 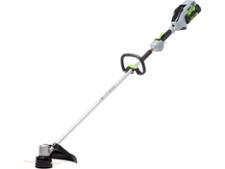 This cordless grass trimmer is excellent at cutting long grass and weeds, but can still make a decent job of the more delicate task of edging your lawn. It’s expensive and will not suit all gardeners as it can be a little awkward to use, but it’s worth considering if want a versatile machine. This grass trimmer scored well in all our tests, and was rated highly both for its speed and quality of the cut, making it a Best Buy. It's a breeze to use, thanks to an easily adjustable shaft, handle and head. It won't break the bank either. This Best Buy grass trimmer stands out for its ability to tackle any job, from edging the lawn to cutting through long grass and tough weeds. 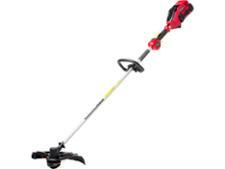 It's easy and comfortable to use, all of which makes it a Best Buy grass trimmer for general garden use. This low-price grass trimmer has everything we were looking for. 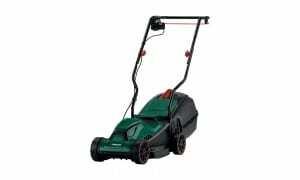 It is easy and comfortable to use, slices through long grass and weeds quickly, and makes a very neat job of edging the lawn. 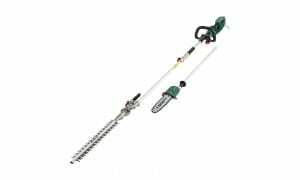 This cordless grass trimmer is from a brand that's well know for its range of garden tools for professionals. 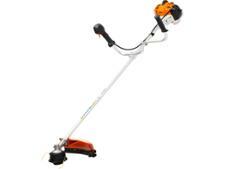 This model has all the power of larger trimmers, but is more controllable and so should suit anyone with a large garden. Not found the product for you? Browse all of our grass trimmer reviews. Too many grass trimmers are awkward to use, slow to cut and leave a messy finish. Our testing shows which grass trimmers are frustrating to use and here we've highlighted three that we think you should avoid. The best grass trimmers do a wide variety of jobs quickly and efficiently. 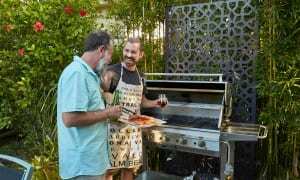 This will probably include edging the lawn, cutting the grass where it grows over your path and in areas that are hard to reach with the mower, as well as getting rid of long grass, after spring bulbs have finished flowering. For all this you need a general-purpose grass trimmer. Look for one with a rotating head that turns sideways to cut the edge of the lawn. Make sure it has an extending shaft so you can adjust it to your height. On some grass trimmers the angle of the head can be adjusted so you can strim under your garden furniture, which is very useful. Finally check our reviews to make sure it has a good line feed mechanism. To find out more, look at our advice on how to buy the best grass trimmer.